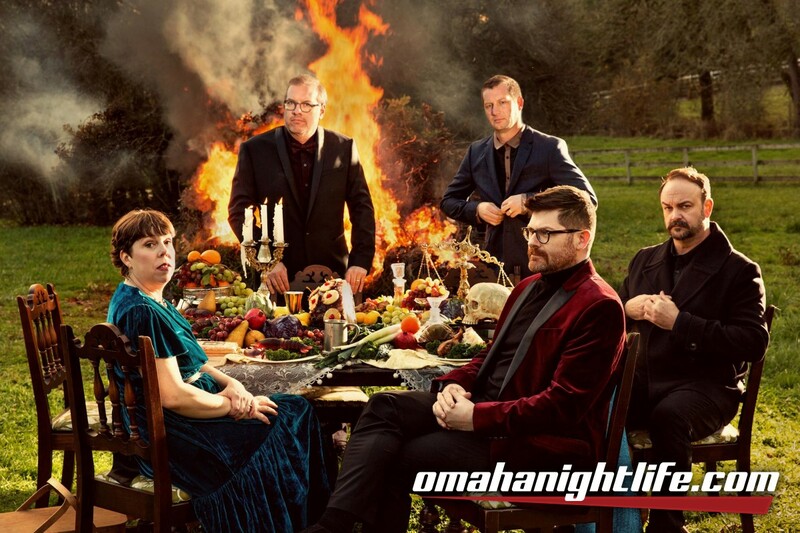 "When you've been a band for 17 years, inevitably there are habits you fall into," says Colin Meloy. "So our ambition this time was really just to get out of our comfort zone. That's what prompted working with a different producer and using a different studio. We wanted to free ourselves from old patterns and give ourselves permission to try something different." With I'll Be Your Girl, the Decemberists-lead vocalist and guitarist Meloy, guitarist Chris Funk, keyboardist Jenny Conlee, bassist Nate Query, and drummer John Moen-explore new approaches to making music and broaden their sonic range. It's the group's follow-up to 2015's What a Terrible World, What a Beautiful World (which charted in the Top Ten and included the #1 AAA single "Make You Better"), though in the time since, they have released the EP Florasongs; a 10th anniversary limited edition vinyl box set of their 2006 Capitol Records debut The Crane Wife; their own crowd-funded board game Illimat; The Queen of Hearts, a GRAMMY-nominated collaboration with Olivia Chaney under the name Offa Rex; and "Ben Franklin's Song," the first of Lin-Manuel Miranda's monthly "Hamildrops" of bonus material from Hamilton; as well as launching Travelers' Rest, an annual two-day musical festival of their own curation in Missoula, Montana. "We were talking about music and our references," says Meloy. "It kept coming back to Roxy Music and early glam, and we dove in with that in mind. The Decemberists are a record-collectors' band, we're all fans and scholars of music, so there a lot of touch points that we all get, but they don't always come through. So we were trying to embrace that Bryan Ferry aspect, that kind of set the tone." The approach the Decemberists pursued on I'll Be Your Girl also allowed for a new sense of contribution and involvement from the other band members. "Since we were going to mix it up, everybody felt like they had more of a voice," says Meloy. Highlighting the input of Chris Funk and Jenny Conlee, Meloy mentions "Severed" as a significant team effort. "That was written as a punk song, but wasn't really working," he says. "Jenny set this arpeggio throughout it, and it became like an early New Order song. And I had forgotten that when we made the demo, I also started a file to turn it into more of a Depeche Mode song-I actually wanted it to be a synth song all along." I'll Be Your Girl is the sound of a veteran band finding new inspiration, a unit unafraid of challenging itself to re-connect with its creativity. "Making music is an infinite choose-your-own-adventure," says Meloy (who is also, of course, the author of a series of best-selling children's books), "and when you go down one path, the other paths get sealed off. So every time we could, we said, 'If this is what our impulses would tell us to do, let's try to imagine it in a different way.'"